Blanket is handwoven of Nepalese cashmere. Features a subtle herringbone weave. Finished with a silk border. 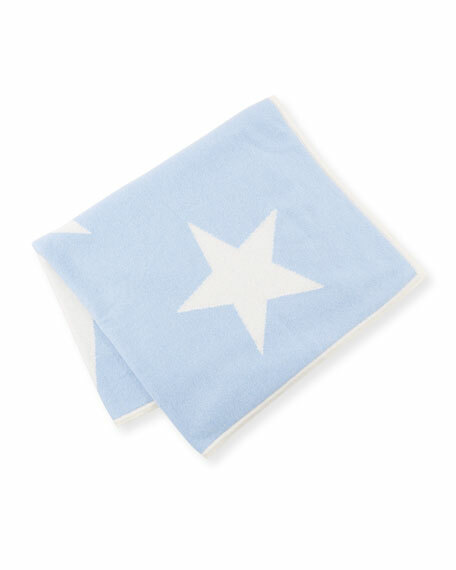 Sofia Cashmere baby blanket with scattered star intarsia. Finished edges. Cashmere. Imported. Exclusively ours. 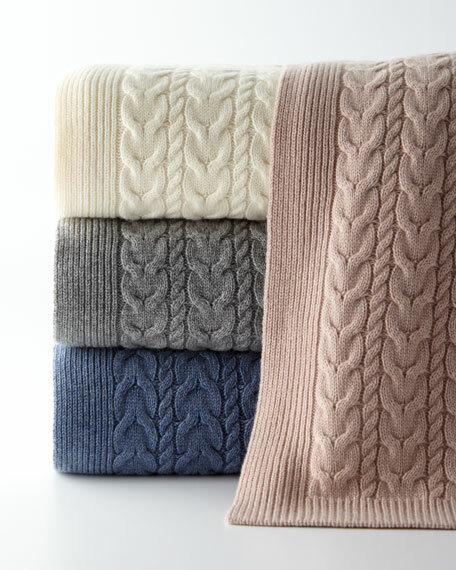 Cashmere cable-knit throw blanket. Dry clean. 50" x 60". Imported. 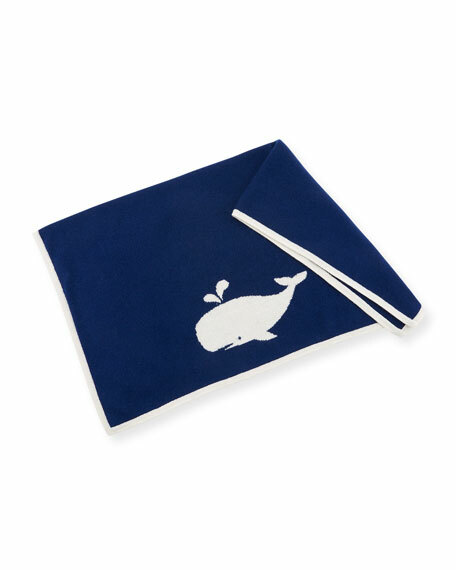 Sofia Cashmere baby blanket with whale intarsia. Contrast, finished edges. Cashmere. Imported. 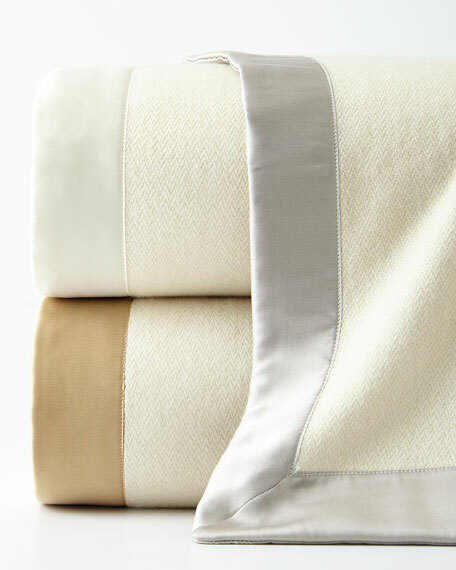 Year-round blanket in responsibly sourced, hypoallergenic down (550 fill power). 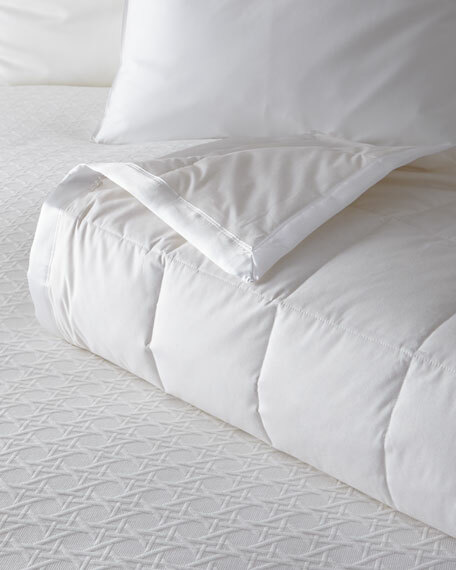 Baffle-sewn cotton cover, trimmed in satin, for luxurious look and feel. 90" x 96" Dry clean. Imported.